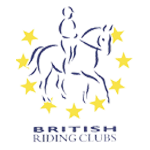 The attached policy sets out the obligations of EER Education Limited and all it’s associated companies (to include Lavant Equestrian LLP, Lavant Indoor Riding School Ltd) hereon known as the ‘businesses’, for compliance with the General Data Protection Regulation and the rights of our clients, staff and other business contacts. We are committed to uphold the law of data protection and we place high importance on the correct, lawful and fair handling of any personal data. Our Data Protection Officer is our Operations Manager to whom any concerns or questions should be directed. Read our full Data Protection Policy here.